Design your life. Be it, do it, now! 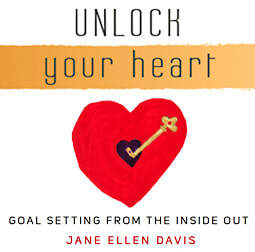 Now Available "Live from the Heart and Unlock Your Potential" Online Course! My brand new online class "Live from the Heart and Unlock Your Potential" is now available on Daily Om, an online learning platform used by people around the world. This project has truly been a labor of love as I've worked with several talented people to update and hone the course from book and mentoring format into an engaging, interactive, self-paced multimedia journey. I hope you'll enjoy checking it out. I would be very grateful if you want to share it with any interested friends and family on your social media feeds. Check it out! An exciting announcement came to my email a few days ago. My course for Daily Om entitled "Live from the Heart and Unlock Your Potential" had finally been published on DailyOm.com! The course took a little over a year to get published. There is a lengthy process to complete, submit and have approved and then it goes to the marketing department for their approval and design ideas. Communication lagged often and it became frustrating for me. I started getting discouraged and felt like quitting. Read on. Los Angeles Workshop 3/25/18 "Being the Best You Can Be". I often wonder when someone new drops by my website—how are you? Why did you stop by? What are you hoping to find here? ​Often, a first time visitor was sent by a friend—perhaps someone who knows me, has read my book, or liked my art work — whatever your reason—Welcome! Here you'll find opportunities for personal growth and fulfillment. If you seek solace - stop by my Art page and enjoy the Sea of Saris Meditation and the Buddha Meditation—you are welcome to invoke these peaceful, rejuvenating moments anytime. If you are searching - the key to finding your answers may be in my book, Unlock Your Heart and the guided meditations and exercises that assist you in discovering your path. 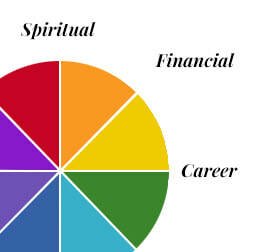 If you need guidance - personal insights and help are available via my blog and my private mentoring. ​Either way, I would love to hear your comments on my blog articles or to get a message from you via my contact page. Part of growth comes from the willingness to step out of fear into love—part of expressing love is to use your voice; speaking and writing from your heart. This is a safe place to practice being your authentic self - I look forward to hearing from you!